I have had my Instant Pot for several months now and it’s fair to say I’m impressed. I love how easy everything is and it makes weeknight cooking a lot more exciting and simply a breeze. Most of the time I cook in it I have followed recipes to the letter so I don’t mess them up and I can see what works as well. There have been a few times now that I have made something up as I went along, some really good and others not at all. On one occasion, I got it so right I posted the recipe on Instagram after eating and everyone seemed to dig it too! 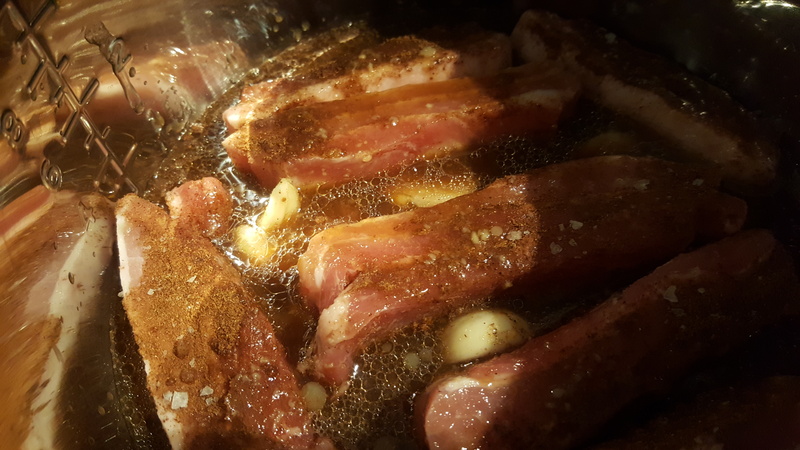 Tonight I had some pork belly so thought I would make it again and share it with you all on my blog. There were only a couple of small tweaks this time but it’s for the better – instead of sliced ginger I used pre-minced. I know it’s never going to be as good as fresh, but I am slightly obsessed with it at the moment and much prefer spooning it out of a jar than spending time mincing it into a fine paste and the flavour is still pretty good. I also used pork belly this time instead of ribs but either would be fine and they were just as good. I also serve the pork belly in the cooking liquor with konjac noodles, which are gluten free, low carb and the texture is great with a rich broth like this. Ramen noodles would also work, as would pho noodles too. I have also made this with chicken breast if you don’t like pork and followed the same steps but cooked the chicken for 7 mins instead. 1. 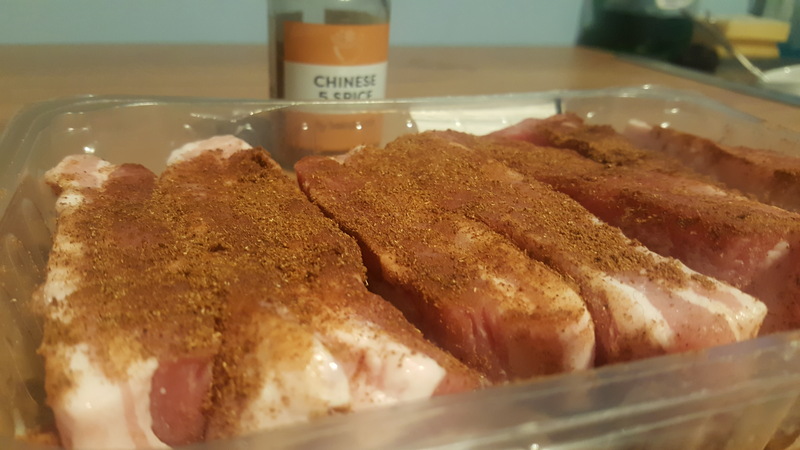 Open the pack of pork belly slices and then sprinkle over your Chinese 5 Spice and rub until both sides are lightly coated. Place in the bottom of the Instant Pot and season with your sea salt. 2. 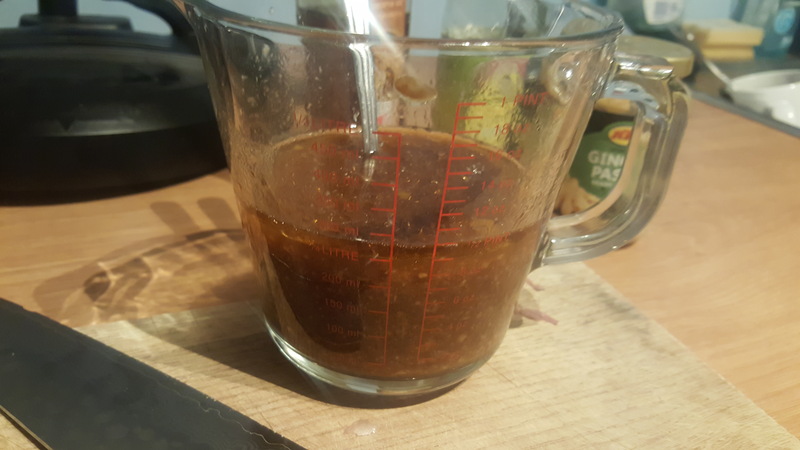 In a measuring jug, mix together the ginger, tamari, tamarind and sesame oil. Add the chicken stock until the total amount of liquid is 250ml. 3. 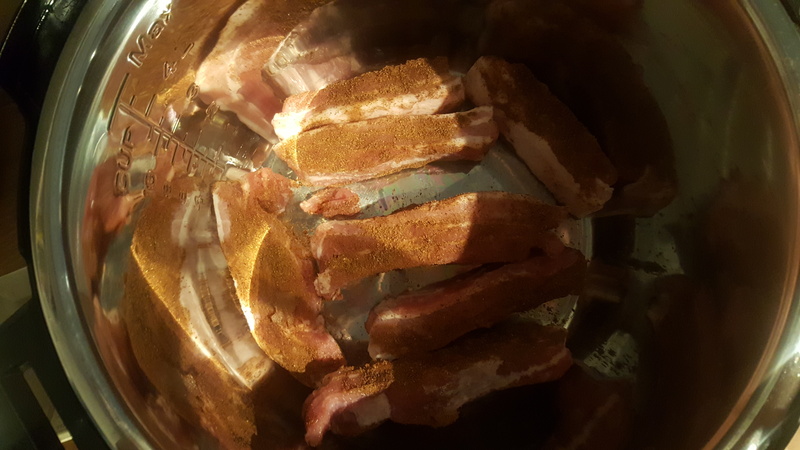 Peel and smash the garlic cloves and add to the pork belly then pour in the liquid from the measuring jug. 4. Set to manual for 17 minutes and prepare your noodles while you wait. As the broth is dark, doing quick release might splatter so you can let it release naturally for 10 minutes after cooking. 5. 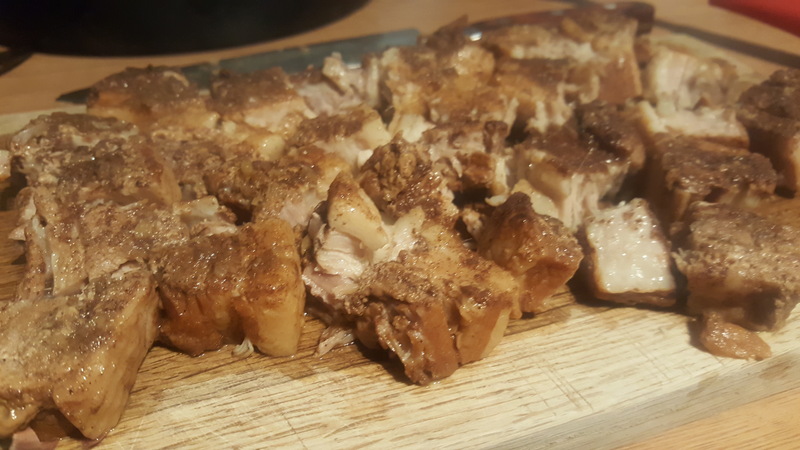 Take the pork belly slices out of the cooker, let rest for 5 mins and cut into bite size chunks to serve. Place your cooked noodles in a bowl and ladle a decent amount of broth over top. Place your pork belly chunks on top and enjoy! If you like chilli a good chilli oil would work well with this and I also would suggest fresh coriander too. I did drizzle some Sriracha over mine and it was good!